Home Tennis Hewitt: "Piqué does not know anything about tennis, it's like I change things in the Champions League"
Hewitt: "Piqué does not know anything about tennis, it's like I change things in the Champions League"
In the press conference prior to the Davis Cup qualifying round between Australia and Bosnia-Herzegovina the Aussie captain charged against the new Davis Cup format. 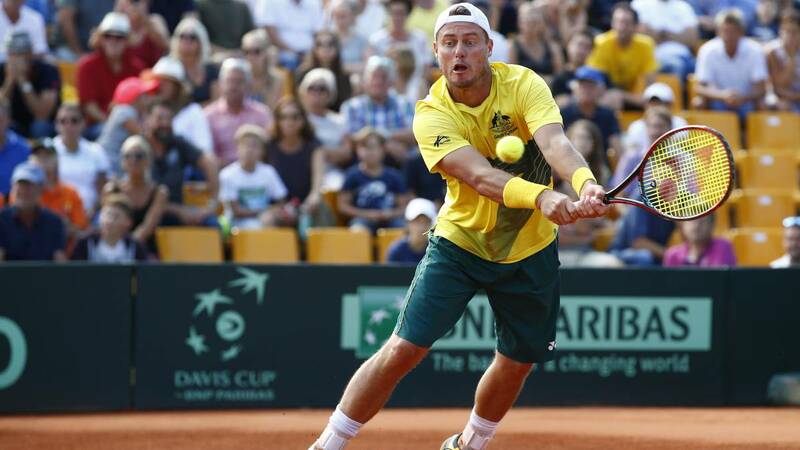 The captain of the Australian Davis Cup team, Lleyton Hewitt, criticized the management of Barcelona footballer Gerard PiquÉ and his Spanish investment group Kosmos for making a series of "ridiculous" changes that will not work, such as the competition being held in a single venue and the best of three sets. The new format will reduce the usual five sets in Davis Cup to three and Hewitt believes that it is "ridiculous" to make so many changes in the main international tennis tournament. "Piqué does not know anything about tennis, it would be like if I asked to change things for the Champions League" , Hewitt said before his Davis Cup match against Bosnia and Herzegovina this Friday. Davis Cup will be modernized to create a World Cup tennis, after the International Tennis Federation (ITF) signed a contract of more than 2,600 million euros for 25 years with Kosmos. For this new agreement, the usual competition will be replaced by an 18-team tournament played for a week in Madrid. "The two major differences will be the appearance of playing at home and away and, secondly, playing the best of five sets. If you look at the summit of our sport, which are the four main tournaments, they are the best of five sets, "said Hewitt. For the former world number one, holding the tournament in a single venue will not work. "Having it in one place I think is ridiculous, I think many of the best tennis players will not play" , said the Australian team captain, who believes that Piqué and his investment group are "directing the ITF". "And a football league is the main sponsor of the Davis Cup," he concluded.